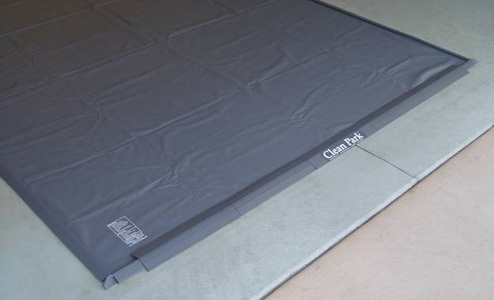 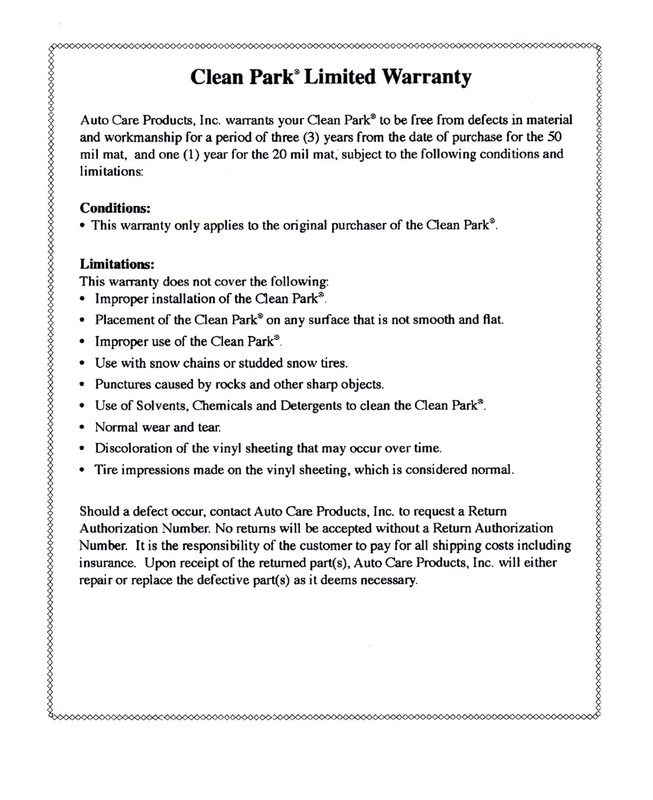 The Clean Park Containment Mat – 7.5 x 22 – catches all the mud, slush, and grime that falls off of your vehicle to keep your garage floor and home clean. 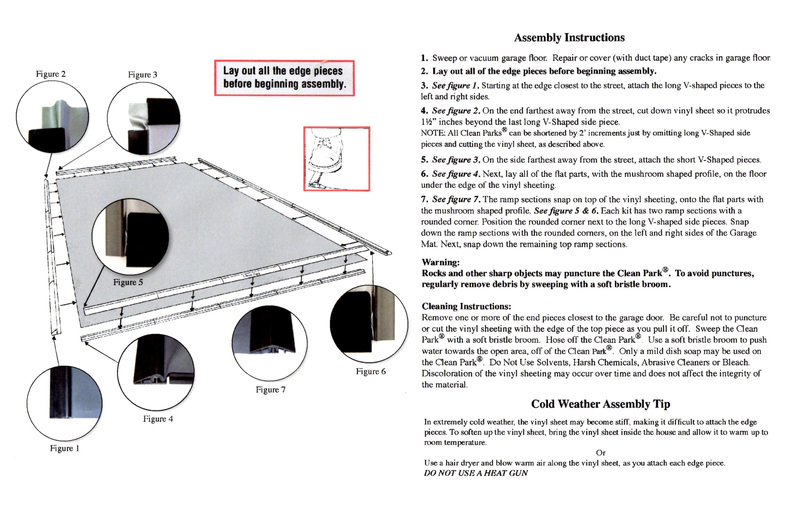 A revamped ramp section now holds even more water. 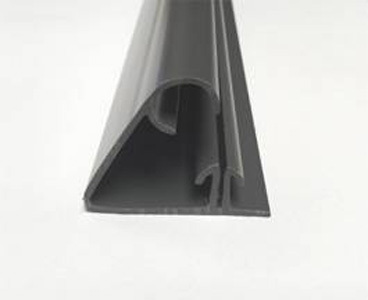 The standard 20-mil vinyl mat, reformulated to be more pliable is easier to install at low temperatures, and the folds relax faster and lay flatter. 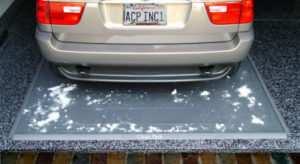 All sizes of the Clean Park Garage Mats come complete with extremely durable 24″ long Snap-On side rails and 18″ long Snap-On end pieces. The redesigned side rails have a split mushroom design that is spring loaded for a more secure fit.